Joe Mahler is best-known as a fly fishing author/illustrator living in Fort Myers, Florida. His work appears in Fly Fisherman Magazine, Salt Water Sportsman, Outdoor life and other publications. Joe is also the author and illustrator of “Essential Knots & Rigs for Trout” and “Essential Knots & Rigs for Salt Water” (Stackpole Books). 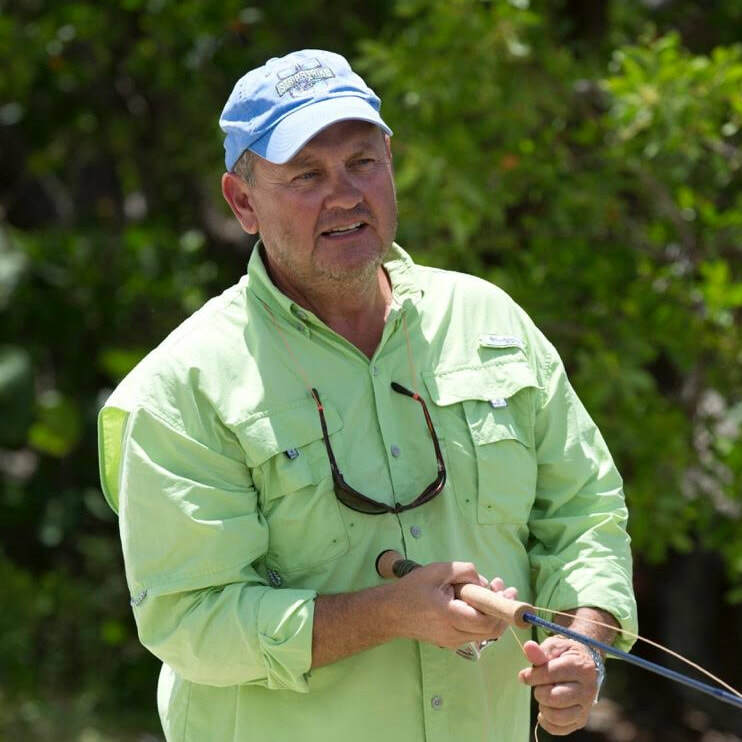 As one of the nation’s leading fly casting instructors, Joe has been seen casting away in national television commercials for Bass Pro Shops, Tracker and Mako Boats. Mahler’s innovative StrawBoss fly pattern, was recently featured in Fly Tier Magazine. Most recently Joe has teamed with Reilly Rod Crafter to create the “Mahler Signature Series” which features the 5/6 weight Lily Pad and the 7/8wt Cypress fly rods for both fresh and salt. Drew Chicone is an author, award-winning outdoor writer & fly designer, photographer, lecturer, and materials expert, whose passion for teaching the art of fly tying has inspired numerous how-to articles, books and detailed instructional guides. He has lived and breathed the sport since he was tall enough to sit at the vise, and his fly creations are well known and in high demand among saltwater anglers and guides across the globe. Drew has been a FFF Certified Casting Instructor, and commercial fly tier for more than a decade. He is a designer for Umpqua Feather Merchants and is patterns are sold in quality fly shops and have appeared in over 70 US and international publications. He is the winner of the 2016 and 2017 International Fly Tackle Dealer Best in Show Saltwater Fly Pattern Award, as well as the 2014 I.F.T.D Iron Fly. At the beginning 2018 Drew partnered with Wild River Press books to publish 3 new titles; "Top Saltwater Flies - Bonefish", "Top Saltwater Flies - Tarpon" and "Top Saltwater Flies - Permit" It’s the largest tying-instruction series on the subject ever published. The hardcover set is available for sale at www.topsaltwaterflies.com. Other Chicone titles include Largemouth Bass Flies (2018), Baby Tarpon Flies (2017), Redfish Flies (2014), Snook Flies (2013), Feather Brain: Developing, Testing, Improving Saltwater Fly Patterns (2013, Essential Bonefish Flies: Andros (2013) and Essential Permit Patterns (2013). In addition to his ongoing work as an educator, Drew ties premium saltwater flies for sale through his company Salty Fly Tying. Drew is a Ambassador for the American Museum of Fly Fishing, Patagonia, G Loomis, Mustad, Dyna King, Bote Paddle Boards, Loon Outdoors, and holds pro staff positions for Nautilus Reels, Airflo and as well as many other premium fly fishing manufacturers. ​For more information about Drew, his latest works and hosted trips, visit www.saltyflytying.com or follow him @drchicone on Instagram.